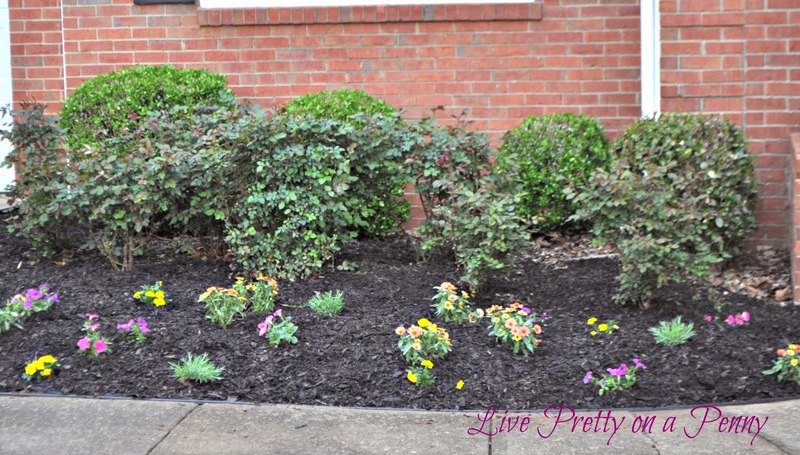 Each year, I look forward to planting flowers and sprucing up my front yard. I normally don’t plant this early, but I am glad I did. Mainly for the milder temperatures, but also because I scored some great deals at The Home Depot Spring Black Friday sale. This pic was snapped on my i-Phone but you get the point. The soil was waiting to be tilled and prepped for flowers, after being dormant all winter. The process of tilling involves loosening up the soil in preparation of planting. Since I didn’t snap any photos of me tilling, check out this youtube video. 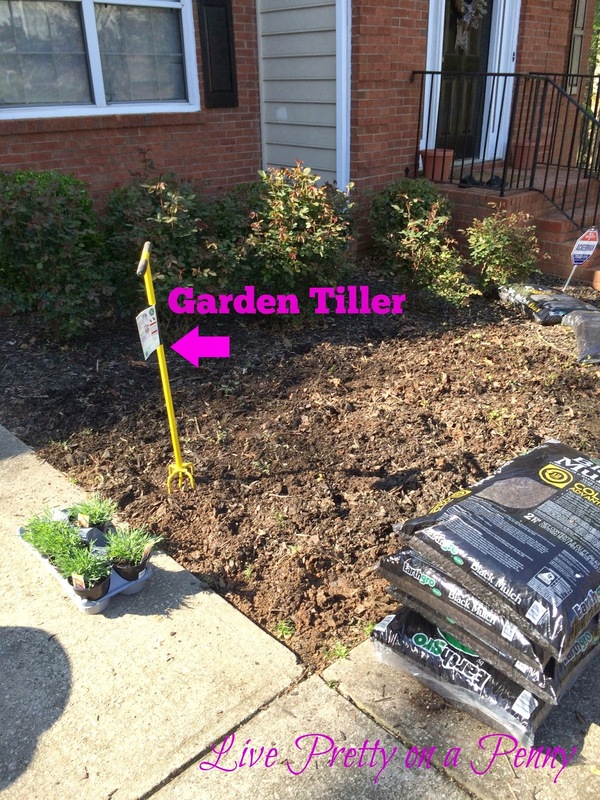 This video demonstrates with tilling with a shovel, but I actually used a small tiller which I found to be easier than a shovel. You just take the tiller, stick it in the soil and twist. But the process is pretty much the same. Once the cloth was laid, I cut holes into the fabric where I would be planting my flowers. 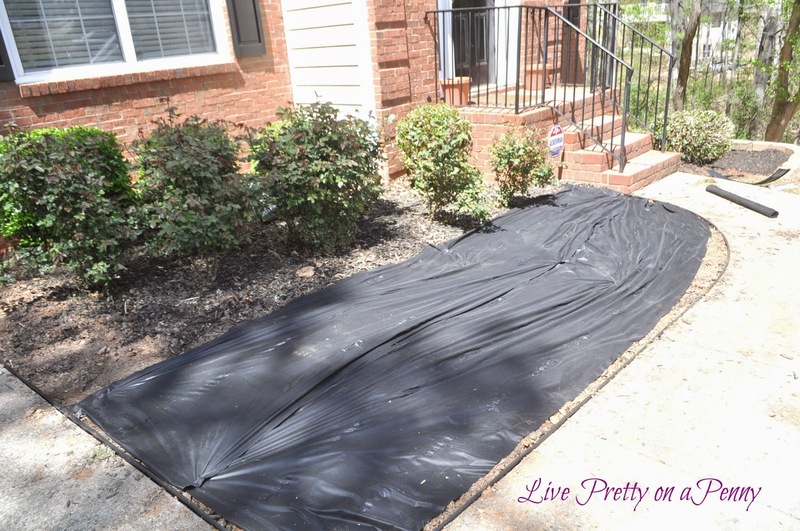 After planting I laid out approximately 6-8 bags of Earthgrow mulch over the cloth and around the flowers. Then I did a good watering. After several hours of work, I was finished and very happy with outcome. 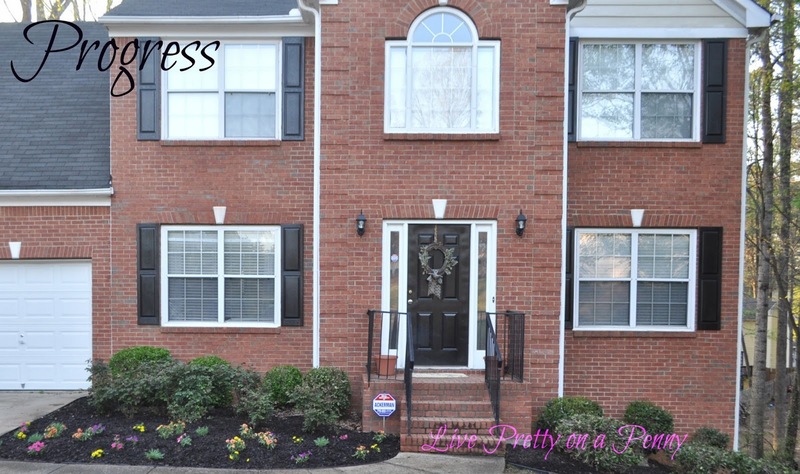 It’s amazing what flowers and a few hours can do to achieve instant curb appeal. I love the results and am so ready for the warmer weather. Also, as a reminder, here is the before picture of my home right after we moved in taken from my home tour page. I almost forgot what it looked like! Sheesh, thank goodness for a little elbow grease. I like to take a look back to see where I started because even when I feel like I’m not doing enough, a good “before” pic always reminds me that I have still come a long way! There are a few other projects that I will be doing out front and of course I will keep you all updated as I go. Thanks Heather! Winter makes things so ugly. Its great to have a little perk up outside! 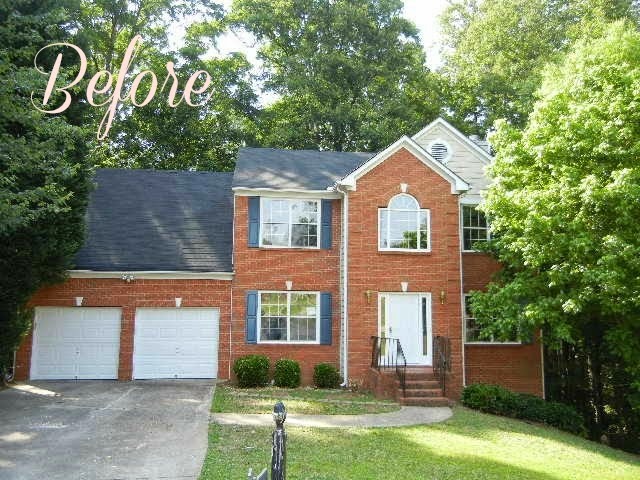 What a lovely transformation! I haven't done any planting yet because the weather has been so back and forth here. Can't wait! Beautiful, Erin! And when your knock out roses bloom your garden will be even prettier. Looks great Erin! A little clean up, mulch, and a few flowers goes a long. It's going to look even better when the roses bloom and the flowers grow in. This looks really great Erin! 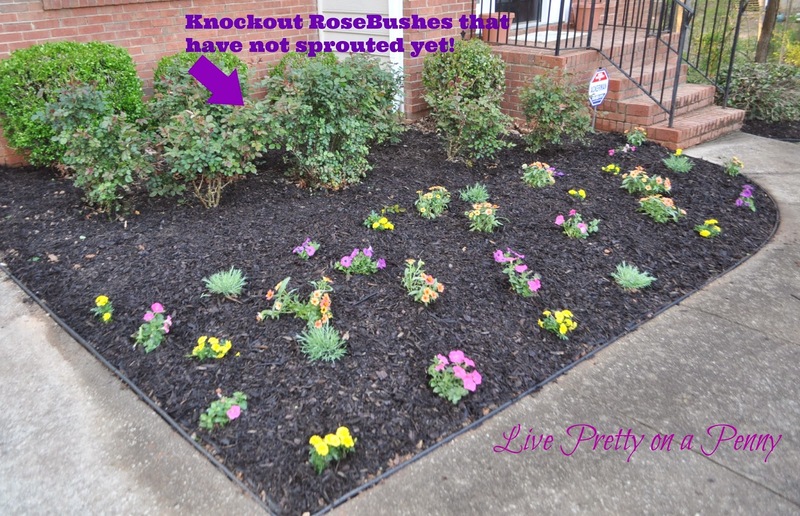 I can't wait till I start mine, I was also thinking about putting in knock-out roses. Can't wait for future post. You certainly have a beautiful home. I love all the changes you made and your flower garden is like the cherry on top. It just adds even more points to the curb appeal. The after looks great! great job so far Erin! not just flowers, but mulch, my friend. mulch makes a huge impact. we haven't mulched yet-we're doing a small patio that seems to be taking much longer than i thought. isn't that always the way? i've really enjoyed looking at your blog!